By 1985, Mel Gibson was on the verge of big things in Hollywood. But, before his star was shining too bright, he returned to the role that made him famous one more time. 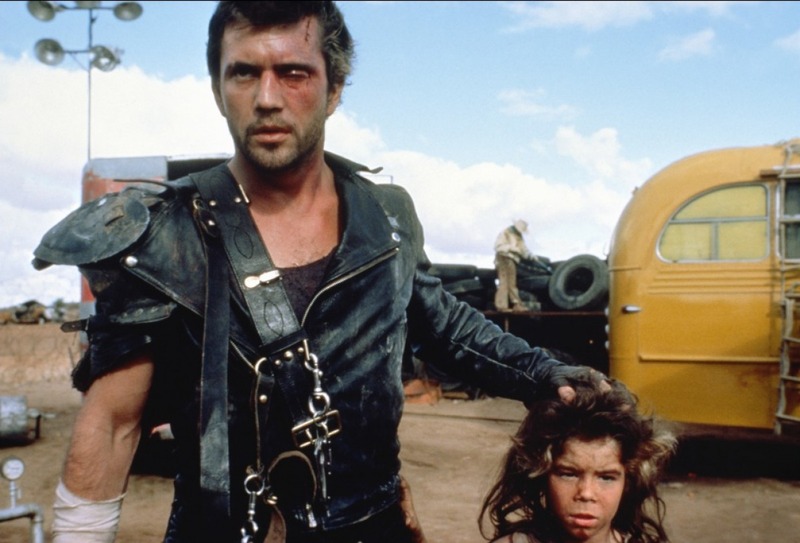 Director George Miller returned with big hopes and dreams for Mad Max Beyond Thunderdome. Unfortunately, a lot of the things that made the first two apocalyptic films great would get lost along the way. Hollywood would have too much say in the making of this film, the edginess and extreme violence seen in Mad Max (1979) and Mad Max 2 (1981) was gone. A tamer Max was now awaiting us. The movie is set some 20 years after Mad Max (1979) and 15 after Mad Max 2 (1981). Max is roaming the desert wasteland in a camel-driven wagon. After it is stolen by a pilot named Jedidah (Bruce Spence, in a very confusing move, he is not reprising his role from Mad Max 2), he follows the trail to Bartertown. Humanity is struggling to survive in this town where electricity is fueled by pig feces and everything is controlled by Aunty Entity (a horribly miscast Tina Turner). The first 45 minutes of the movie are actually entertaining, if not watered down compared to the first two films, along with some unwanted humoristic elements. Max is hired by Aunty to confront Master Blaster in an effort to gain control of the underworld that keeps Bartertown running. Master is a small man with big dreams who keeps his control through the muscular Blaster, sitting on his shoulders, giving orders to everyone. This conflict culminates in a battle inside Thunderdome, a cage where Blaster and Max are attached to bungee cords and weapons like chainsaws are hanging from the side. As the crowd chants “two men enter, one man leaves”, Max knows his only hope is to use a whistle as Blaster is highly susceptible to high pitched noises. Max narrowly defeats Blaster only to remove his helmet and reveal that he is nothing more than a disabled child. Refusing to kill him, he is exiled into the desert. Sadly, this is where the movie gets off course. We are dealt a highly unbelievable plot of children living in a desert oasis in hopes that a Captain Walker, who they believe Max is, will take them to civilization, or “tomorrow-morrow land”. Max decides they are better off staying in the oasis but a group of the children leave for Bartertown in search of Master to help repair a plane. Max is forced to take another group with him to Bartertown to get them back. The end is somewhat saved by a big chase between Aunty Entity’s men and Max. It doesn’t quite live up to the mayhem of the first two films and plays off the violence in a more comedic manner, mostly because of the PG-13 rating, compared to the R rating of the first two films. But the climactic battle manages to salvage a movie that got way off track with the oasis children sub-plot. Using the pilot and his plane, the children and Master are saved but once again, Max is left behind in the desert. The children make it to the now destroyed cities in hope of restoring what has been lost and finding others out there in the wasteland. Byron Kennedy, producer of the first two films, was killed in a helicopter crash in 1983. Some believe his absence might be partially to blame for the different feel in this movie. Criticism is split as most fans enjoy the Bartertown sequences but despise the oasis children. For me, the movie just seems cartoonish at times in contrast to the gritty world they had created in the first two films. Moving from an R rating to PG-13 just compounded that issue. 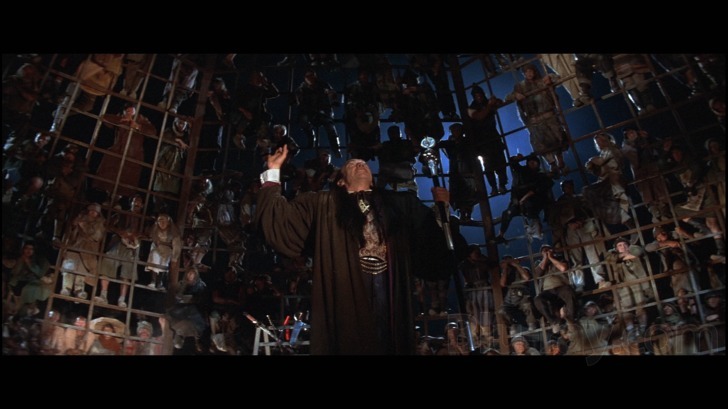 The thunderdome sequence is fun but I always felt it would have more horrific if seen in one of the first two movies. This movie was the least successful of the trilogy in Australia but was a big enough hit in the United States to warrant a sequel. However, Mel Gibson went on to commercially bigger things, such as the Lethal Weapon franchise, and a sequel never materialized. However, a fourth film has been long discussed and finally seems to be coming true. Mad Max: Fury Road is currently being filmed for a May 2015 release. 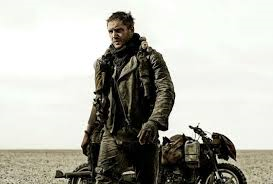 Max is now played by Tom Hardy (Bane from The Dark Knight Rises) with a new rival named Imperator Furiosa, played by Charlize Theron (Prometheus). The movie will be set between Mad Max and Mad Max 2, so we can except to see a more human Max. While we will probably see more CGI effects, one can except it will have a harder edge similar to the first two films. Director George Miller is back but considering his last three films had to do with penguins and pigs, I’ll reserve comments until I see the movie. And rumor has it, we might even get to see Mel Gibson in a cameo. 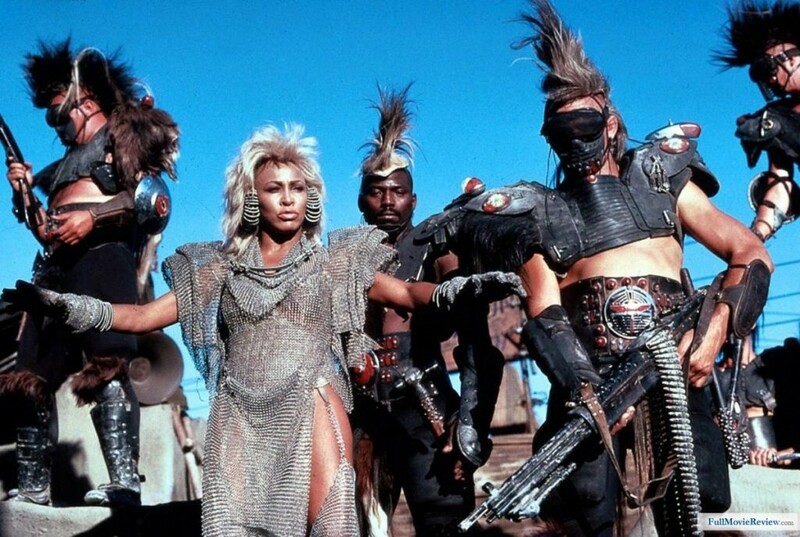 Check out the trailer for Mad Max Beyond Thunderdome and enjoy the Blu-ray print. It is worth a watch, just keep in mind that it does get off track for a while and you might have to muddle your way through a Tina Turner song or two. None the less, this one is a guilty pleasure for me as it was the only one of the trilogy I saw in a theater. Back in 1985, I went with my sister who I vividly remember was much less impressed than I was. I must admit, some of the nostalgia is wearing off over time. Judge for yourself and have fun! 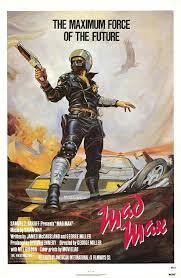 It may have taken a few years for Mad Max (1979) to find success in America but it was a huge hit in Australia. A sequel was a no-brainer and director George Miller would reunite with producer Byron Kennedy and budding Hollywood star Mel Gibson for Mad Max 2 (1981). However, it is better known to most Americans as The Road Warrior. Since the first Mad Max never received proper distribution in the United States, Warner Brothers felt most of the audience would be confused and even turned off by a sequel to a film they still knew nothing about. 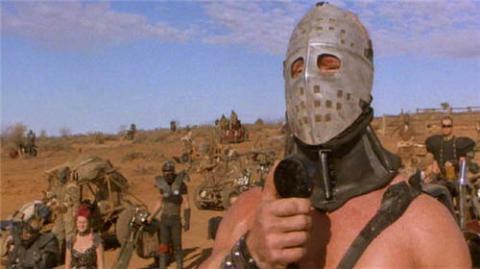 However, with an official studio release, The Road Warrior would be a commercial success on par with other countries. 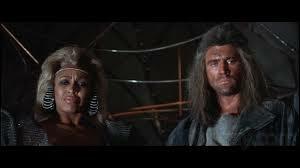 In fact, it would even help make Mad Max a cult favorite as audiences wanted to see more of Max Rockatansky (Mel Gibson). When we last saw Max, he was headed for the desert. His humanity gone after the death of his wife and son, he chooses to roam the wastelands. Still driving his pursuit vehicle, we get the impression life has been hard. Sporting a brace on his left leg (following up on the plot thread of getting shot in Mad Max) and his car is battered. His only companion is a dog. He no longer works for the Main Force Patrol (MFP), which most likely didn’t even exist anymore. There has been a global war, the apocalypse has happened, oil is short and the gangs run the roads more than ever. After encountering a gyro captain (Bruce Spence), he is told of an oil refinery. Gasoline has become a precious commodity. Max has no problem eating canned dog food or living like those he wants chased down but he desperately needs gas for his car. The refinery is being attacked by a gang under the leadership of The Humongus, a huge man wearing a hockey mask over what appears to be a scarred face. His gang of misfits goes far beyond any of the crazies we saw in the first film. Society is holding on by a thread, madness reigns and precious things such as food and water seem to pale in comparison to man’s never-ending pursuit of oil. 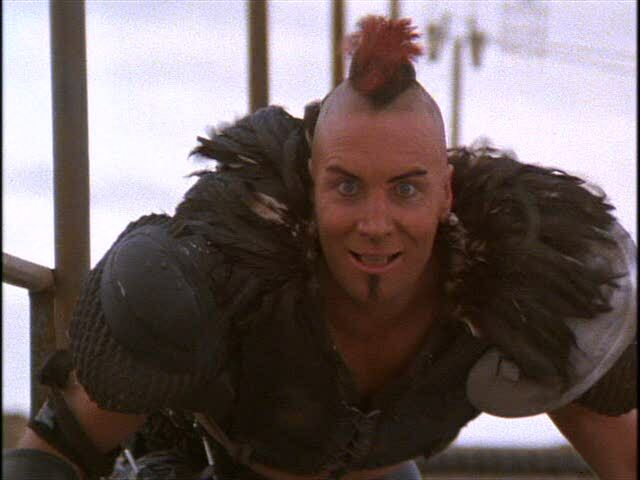 The worst of the lot is a mohawked biker named Wez (Vernon Wells). Max soon comes up with a plan to help the people in the refinery in exchange for gasoline. However, his humanity eventually gets the better of him and his plans to leave change once Wez chases him down and destroys his car. Once the pilot saves max, he decides that their only chance at survival is to let him drive the oil rig and help with their dream of making it to the ocean. A climatic chases ensues that rivals anything witnessed in the first movie. Watch these scenes knowing the term CGI was still unheard of in the movies. A narrator details how the people Max eventually saves (after the amazing car chase/battle) become a great tribe in the north. It is implicated that the narrator is in fact a young and wild boy who befriends Max. While they make it to the destination, Max is once again left alone in the desert. This time, his car is destroyed and he is certainly in much worse shape. But his tale was not over yet. 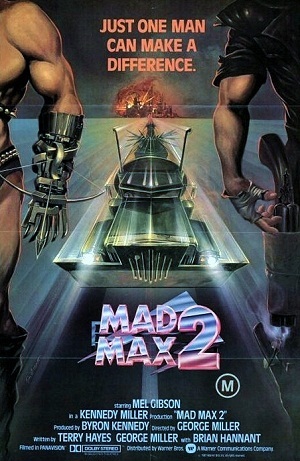 Mad Max 2 was a huge hit, both in the theaters as well as on video and cable. With the action turned up to 11, the movie stands up quite well amongst today’s over-saturated CGI world. Needless to say, I love Mad Max 2. While different in tone when compared to Mad Max, I found that they work quite well together when viewing both movies back-to-back for the first time. Check out the trailer and prepare yourself for some fun. Mad Max 2 is another highly recommended piece of the trilogy. 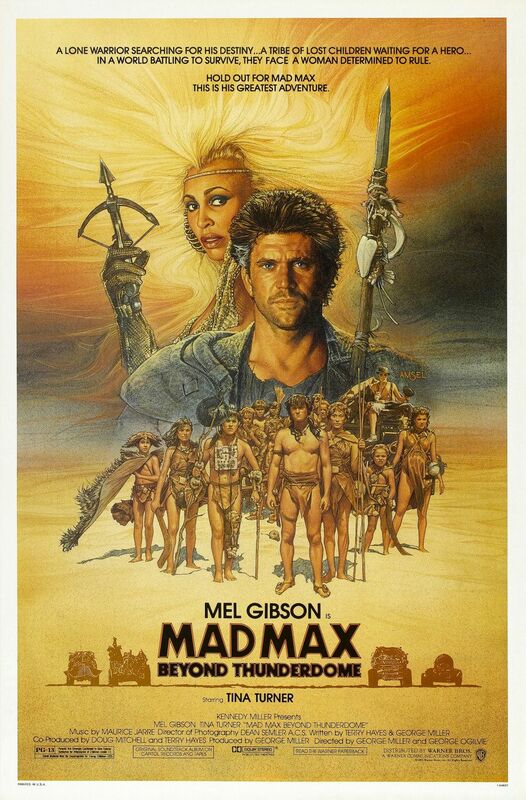 Next time, we conclude the original trilogy with Mad Max Beyond Thunderdome (1985). Unfortunately, I can’t promise the same ride as the first two entries. In the early days of cable television and before video stores became a staple of everyone’s lives, the easiest way to catch movies you might have missed at the cinema was HBO. Granted, not everyone had cable and if they did, HBO was a luxury. While my parents were late to the VCR “fad”, we were one of the first to have cable and HBO was always part of our package. I have many fond memories of watching horror movies late at night on my black and white TV. Granted, I wasn’t supposed to have it in my room but scrambling in those days was pretty ease to overcome. A little adjustment of the fine tuner and characters like Jason and Michael Myers came to life. Two movies I remember watching over and over again starred a young and still unknown actor named Mel Gibson. Decades before he would jump the shark, I was enjoying the first two of an eventual trilogy, Mad Max (1979) and Mad Max 2 aka The Road Warrior (1981). 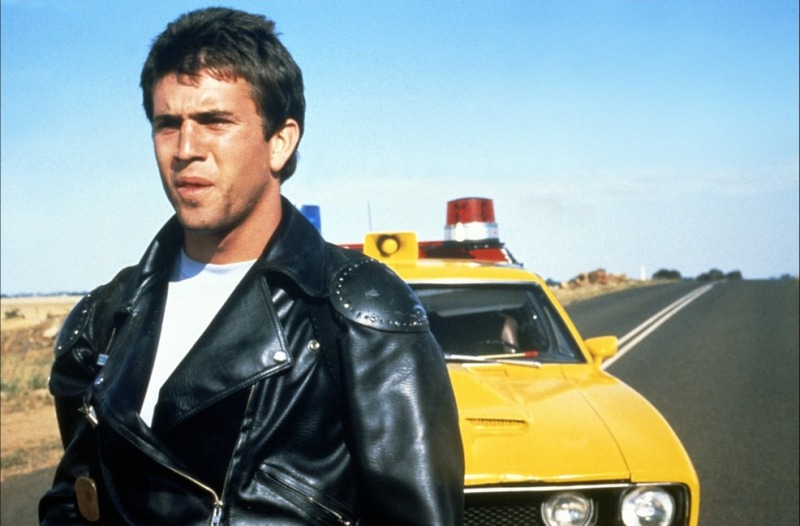 Mad Max (1979) is an Australian movie that never quite had cinematic success here in America. It was through countless airings on movie networks like HBO that it found its audience. Sadly, the only version seen here for decades was the dubbed one from American International Pictures. All of those Australian references that apparently most Americans were clueless on, like “Oi” and “windscreen” were replaced by such generic words as “Hey” and “windshield”. But, since nobody knew who Mel Gibson was at the time or what he really sounded like, most people didn’t even notice. It wasn’t until a few years later that it really sounded odd. Thankfully, the real version is now available on Blu-ray and, despite Hollywood trying to dumb down their audience, everyone seems to understand every word just fine. Mad Max sets up the first chapter in the saga of Max Rockatansky (Mel Gibson), an officer in the Main Force Patrol (MFP). It is the near future and society has started to break down. Energy shortages have resulted in gangs running the highways. Punk hairstyles and “cutting edge” crazies fill the screen with cheesy goodness with character names like Nightrider and Toecutter. Max wants to quit and spend time with his wife Jessie (Joanne Samuel) and son. He’s afraid of becoming like the others on the road. When his partner Goose (Steve Bisley) is nearly killed and left for dead, he finally quits but trouble finds him when his wife stumbles across Toecutter. After they run down and kill his wife and son, Max finally crosses the line and Mad Max is born. The first film offered a very bleak look at the future but there were still signs of civilization. The MFP still tried to maintain order and people still lived fairly normal lives with every day jobs. Max himself is still quite human for most of the film. He is simply a guy living life and trying to provide for his family. The movie was not plot heavy nor was the cast well-known. The main focus was action and the car chases, excessive violence and mayhem. But the cars, oh the cars were a highlight. Max initially drove a yellow 1974 Ford Falcon called the Interceptor. But it was his second car, the black 1973 Ford XB Falcon that everyone still talks about today. It would return in the 1981 sequel before being retired to a junkyard for years. It was eventually purchased and restored, traveling from museum to museum, currently residing in Miami. Since this was long before the days of CGI, all of the car crashes in the film are real. All of the bumps taken by real stuntmen. It may not be as pretty as blockbusters are today but the grittiness is what has kept this movie alive for years. And if you’ve ever watched flicks like Doomsday (2008), you can clearly see just how much the Mad Max trilogy continues to inspire filmmakers today. The recent Blu-ray release is about as good as we can expect from a low-budget movie more than 30 years old. It had been quite a while since I sat down to enjoy Mad Max and I was not disappointed at all. It is highly recommended for those who haven’t seen it. Check out the American trailer and full movie on YouTube if you must but the Blu-ray trilogy is a solid purchase. Next up, I’ll take a look at the two sequels, Mad Max 2 aka The Road Warrior (1981) and Mad Max Beyond Thunderdome (1985).